Property owners in Tomball, TX have been counting on Target Restoration for our emergency disaster restoration services for more than 20 years. With such services, we make timely repairs to damaged homes and commercial buildings. We are fully committed to performing the best possible restoration services, and our professionals will work to restore your property quickly to a stable condition. Aside from being a Centurion Solutions Teams member, Target Restoration is also a member of TIPS and TAPS, a group that requires all members to operate under specific regulations in order to assist government facilities and commercial properties. 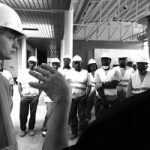 Additionally, our professionals work under the HGACBuy contract, and it provides us with training, planning, and support for disaster preparedness and recovery. Our professionals have more than 100 years of combined experience working in the restoration industry in addition to holding IICRC certifications. Such certifications require training on-the-job and in the classroom. 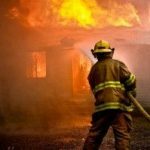 We also have technicians who work under the title of “Master Fire and Water Restorer.” To earn such a title, the person needs to have done training for a minimum of seven years. Knowing this, you can depend on us to be leaders in the industry, providing you with quality service that restores your property to its original condition. Aside from the training we do and the work we conduct, we help out in our community because we are part of the communities we serve. Husbands, wives, military veterans, parents, and children’s sports coaches compose our team. The following restoration projects are ones in which Target Restoration is honored to have worked on: Fort Hood, Belton ISD, Darnell Army Hospital, H-E-B grocery stores, and Baylor University. We have professionals who have been awarded with the following honors: 2014 Hot Choice Award for Home Restoration, 2015 Best of Waco Award for Fire and Water Restoration Service, and 2013 Contractor Connection Gold Hammer. If you’re in need of emergency disaster restoration services in Tomball, TX, then give Target Restoration a call at (713) 966-6064. No matter the size of your property, all types of natural disasters have the ability to leave properties in unstable condition. Further damage can be caused even after the disaster has passed, as the aftereffects of byproducts can make the damage deeper and more widespread. Mold, water damaged building materials, and residual smoke and soot are some examples. Whatever the damage may be, the important thing to do is to call Target Restoration if your home or other building in Tomball, TX is in need of emergency reconstruction services. 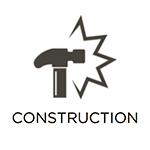 We employ professionals who are veterans in construction work. We can cover all aspects of the project with our reconstruction services like project management, carpentry, roof contracting, electrical work, tarping, and painting. To give you more peace of mind, we work with your insurance company during the claims process. 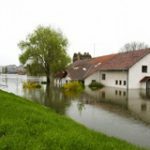 Excess water and flooding can result in severe damage to your property that will only worsen the longer it isn’t tended to. This is because the more time water sits, the more time it has to spread and cause further damage. Come 24 hours after the damage, it is possible that mold growth has developed on the property as a result of the excess water. Knowing this, it is important to contact Target Restoration for our water damage restoration services in Tomball, TX as soon as you notice water damage. 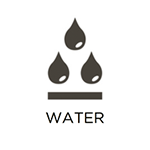 We employ technicians and Master Water Restorers who are IICRC-certified, so we can ensure quality results with our service. We will act immediately, dry out your property, repair your property’s damaged building materials, and contain the damage to prevent further issues. 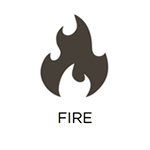 Flames are usually misinterpreted as the most damaging effect of a fire. While the flames do cause immense damage, the most damaging effects are the soot and smoke byproducts the fire leaves behind. These byproducts can cause permanent damage if they aren’t cleaned and removed immediately from affected surfaces and objects. Target Restoration can help homes and other buildings in Tomball, TX that have been recently damaged by a fire with our fire damage restoration services. Not only will our professionals restore your property and belongings, but we will also work to rebuild your damaged home or building. While mold may not always be a disaster, disasters can result in mold growth. Water damage and humid conditions are the most common causes of mold because the excess water and moisture is ideal for mold growth. Mold is able to grow on almost any surface in a household, and this includes cement, furnishings, drywall, and wood flooring. 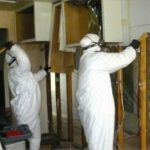 Target Restoration conducts mold remediation services in Tomball, TX with our licensed, experienced professionals. 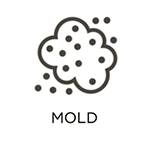 We remove mold by ridding it from its source, drying out the area and structure, fixing damaged materials, stopping mold spores from making a return, and eliminating remaining bacteria. Once we do all this, we achieve thorough restoration of your property back to safe, clean conditions. Because it’s a general term, “biohazard” can refer to numerous situations that involve biohazard materials be it sewage backups, severe accidents, and mold among others. Regardless, what’s important is to stay away from the biohazard materials. They may have various pathogens and bacteria that could harm you. For these contaminants to be cleaned safely, your best bet is to contact a professional restoration service. 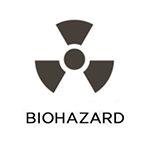 At Target Restoration, we are available for our biohazard and trauma scene cleaning services 24/7. Our professionals eradicate pathogens by using powerful cleaning agents while also removing biohazard materials. If the situation involves a severe accident, we will go about conducting our work in a compassionate and respectful way for grieving families. Call (713) 966-6064 to reach Target Restoration for any of our disaster restorations services mentioned above in Tomball, TX.